Are you feeling your bedroom is lacking luster these days? Here are a few tried-and-true ways to upgrade your bedroom without having to tear down walls or reconfigure your home. Minneapolis is full of older homes that embody character and style—but lack in storage options. A great way to make your bedroom work better for you is to add storage options. The great thing about working with a custom cabinet company is that we can create built-in cabinets for you that match your home’s charm. Your options for built-ins are endless. You can add anything from additional hanging space, bookshelves, drawers or even a wall of shelves. One of the quickest and most impactful ways to bring life back into your bedroom is to add an accent wall. Choose one wall that you want to be your focal point. Then choose a color that fits your style and sets the right tone for you. Then get to painting! You’ll be amazed at how quickly the project goes and how happy you will be when it’s all complete. Our interior designers will tell you that color and layout mean everything when it comes to making your master bedroom feel more like a magnificent retreat. Work with a designer to determine the best layout for your master suite. Consider items such as light, windows, feng shui and more. Then move on to identify small items you can add to your room to make it pop. This can include anything from throw pillows to table lamps to curtain choice. The great thing about these items is that you can easily swap these out for other items when it’s time to make another change. What Other Things Would You Do to Revive Your Master Bedroom? Have you recently renovated your master bedroom? Are you considering a master makeover? 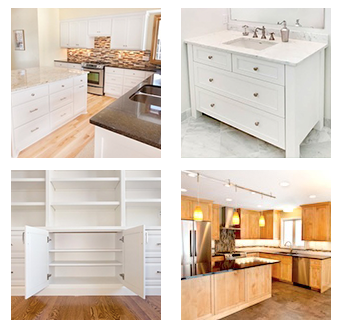 Then give us a call at 952-737-7088 or send our custom cabinetry specialists an email. We’d love to hear from you!